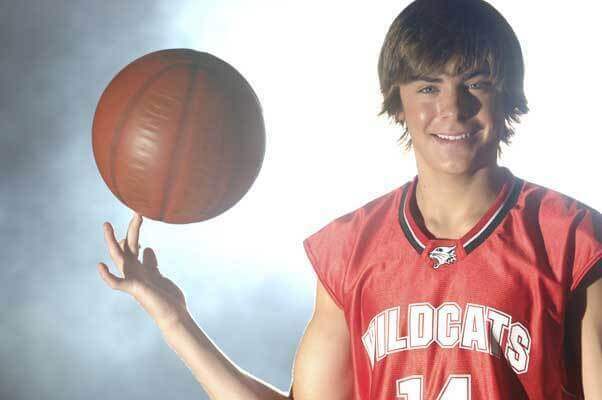 SLAM PH Movie Week: How good would Troy Bolton have been in college? 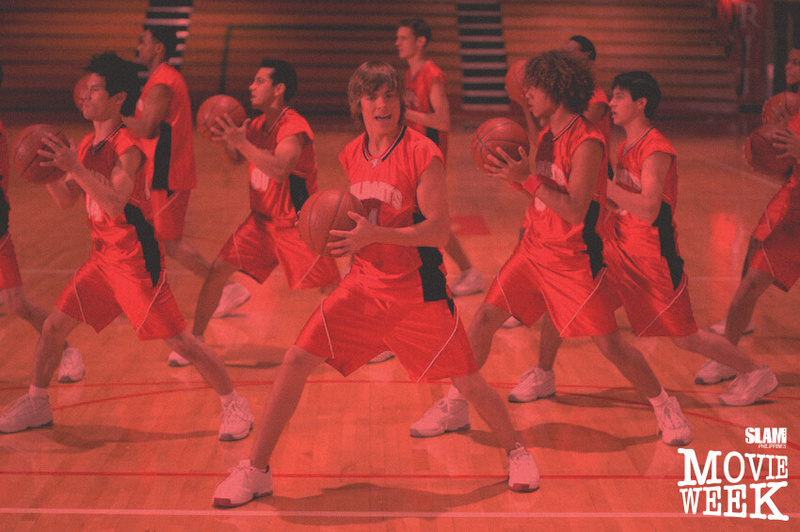 It’s been 10 years since the release of “High School Musical 3”, and we should celebrate what was the definitive pseudo-basketball musical on TV that got our heads in the game and reminded us that we are all in this together. The “High School Musical” Disney Channel trilogy not only gave the younger generation LSS-worthy songs you can’t break free from, but it also possibly got them seriously invested in basketball. Troy Bolton, played by a young Zac Efron, was the captain of the East High School’s basketball team. Every time the musical star held a basketball, he made breaking into song an acceptable norm. Another article online broke down the actual basketball played in this gem of a musical/sports movie. But it did not answer what is probably the most important question that came from the movie: What happened to Troy, the high school basketball star, after his senior year as a Wildcat? We honestly don’t know, but here’s how that probably play out. In many ways, Troy Bolton’s play style mirrored the way he chose to go about his life in college. He was a star in the University of California, Berkley, but that wasn’t because of his ability on the court. Bolton entered Berkley with more than basketball in mind, in fact, he enrolled in order to pursue a degree as a Theater and Performance Arts Studies Major. According to Bolton himself, enrolling in Berkley allowed him to pursue both his passions and still be in close proximity to his longtime girlfriend, Gabriella Montez. In hindsight, that probably was the correct route to pursue considering Bolton’s limited upside as a basketball player. Either way Bolton was eager for the start of something new beyond high school. From 2008 to 2013, Bolton found time to balance his pursuit of the arts with his basketball. Bolton’s work on stage found himself some viral fame, with several YouTube videos of his performances attracting significant attention. His profile as a college baller with a musical flair made him a hit on the internet, and overshadowed what he could do on the court. After all, Bolton was never one to stick to the status quo. As a basketball player, Bolton proved to be serviceable, but not good enough to get on the radar of NBA scouts and earn serious consideration to get in the draft. At the high school level, Bolton led his East High Wildcats to numerous district titles in Albuquerque, New Mexico. He attracted modest attention from a few division one programs, but wasn’t highly sought after graduation. Still his accomplishments were enough for then-Golden Bears coach Mike Montgomery to place Bolton on the roster. Whenever Bolton seemed distracted with his mixed priorities in college, Montgomery would remind him during practices, “Get’cha head in the game!” to get him refocused. That’s how it was everyday, but Bolton carried the strain of committing to his degree and the basketball team pretty well in his five-year stay in Berkley. In college, Bolton’s lack of size was apparent. Listed generously at 6 feet tall and with so-so athleticism, he was always going to struggle defending some of the bigger guards at that level. On offense, Bolton had a knack for nailing mid-ranged jumpers on the elbow and driving at defenses before kicking out to his teammates. He could not be relied on as a ball handler for long periods of time, due to his very limited ball handling ability. While on the defensive end, Bolton had to rely on positioning just to compete with his typically larger opponents. On the team though, Bolton was the energy and glue guy. The theater major would choreograph elaborate celebrations for his team on the bench every time the Golden Bears would hit a big three or get a big dunk. Bolton’s self-depreciating humor was a hit with his teammates, who would often poke fun at his musical theatre background. Even above the blaring noise from the band and the student’s cheering section, Bolton’s voice would stand out as he would hype up his teammates going into every game. “We’re all in this together!” Bolton would scream in the huddle — obviously referencing a song he performed on the court with his theatre friends Sharpay, Ryan, and Gabriella. He would then proceed with an elaborate personalized handshake with his coach and every single teammate. Former teammate and now NBA player, Allen Crabbe used to say that Bolton was a great guy to have around the locker room, and the team would catch his shows whenever they could. The rest of the team would rib Bolton in good taste with poor impressions of his performances in the practices that followed. It was as if that was the reason they came to watch his shows. Bolton would see limited minutes on the court for the Golden Bears, but would always attack his opportunities with a ‘Now or Never’ type of approach. This resulted in an almost reckless style of play that endeared him to the student body. Could Bolton have become a better basketball player? Possibly, but he loved the stage too much to focus on basketball exclusively and that affected his development. There was no way for Bolton to stop his passion for the stage from breaking free. The wrinkles in Bolton’s game could have been ironed out with more practice on the court, but that would conflict with the amount of rehearsal time he would get. Again, in hindsight it was okay for Bolton to split his focus because his upside as a performer was a lot higher than his potential as a baller. His viral musical performances attracted a lot more attention than whatever he did on the basketball court, and Bolton himself recognized that as well. Bolton went full on performer after college, putting his viral fame into good use and carved out a life as an actor in Hollywood. While not yet a contender for an Academy Award, he became popular enough to host the iconic comedy show “Saturday Night Live” and even poked fun at high school and college life in a skit. It was self-depreciating, the type of humor that endeared Bolton to his teammates in Berkley. Bolton was never going to be an NBA player, but he had the makings of stardom beyond the basketball court. The former Golden Bear simply was not good enough to play professionally, but he does kill it every time there is a celebrity charity game. Living happily with his longtime girlfriend and now wife, Gabriella, in California, there is little doubt that Bolton would look back at his time in high school and college with a smile. Bolton wouldn’t do anything differently.